Random shots of guests, musicians, board members and volunteers that attended the 2013 Vernon County Cancer Relief Fund's annual lasagna dinner on Saturday, Feb. 23 at the Nevada Elks Lodge bingo hall. 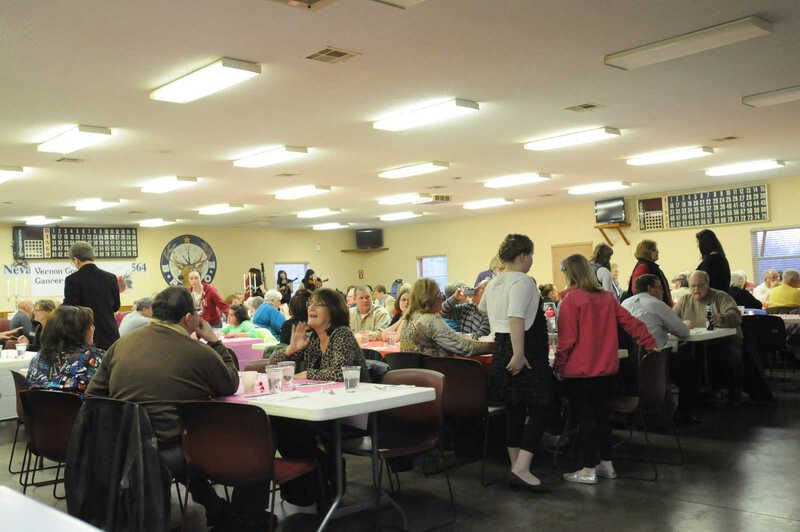 Guests visit and listen to the bluegrass music of Blue Mound Sound before the meal is served at the annual Vernon County Cancer Relief Fund fundraising dinner held at the Nevada Elks Lodge bingo hall on Saturday, February 23, 2013. 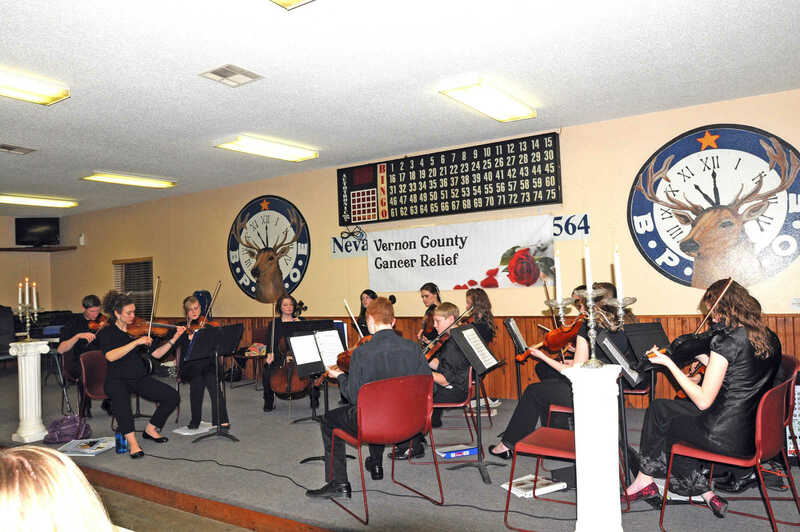 The 16 piece Christian Heritage Academy String Orchestra from Schell City performs during the lasagna meal at the annual Vernon County Cancer Relief Fund fundraising dinner held at the Nevada Elks Lodge bingo hall on Saturday, February 23, 2013. 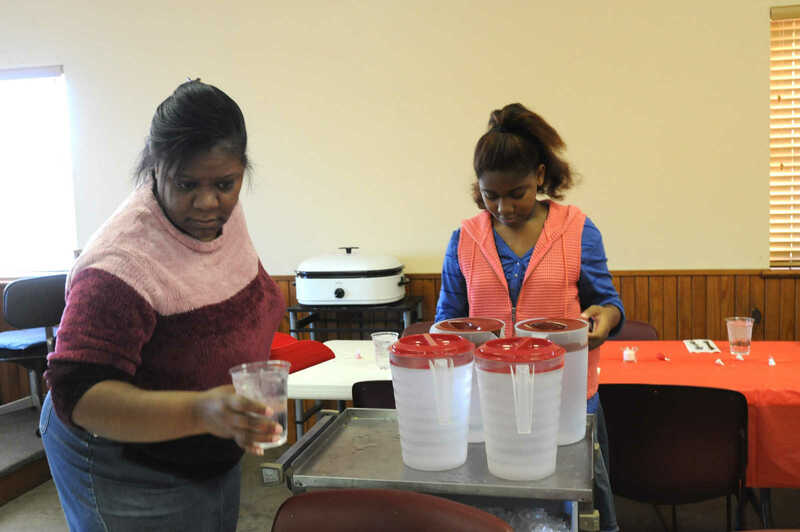 JoAnn Jones, left, and Ranae Jones fill water glasses in preparation of the upcoming crowd at the Vernon County Cancer Relief Fund's annual February fundraising event held Saturday, Feb. 23, 2013 at Nevada Elks Lodge bingo hall. 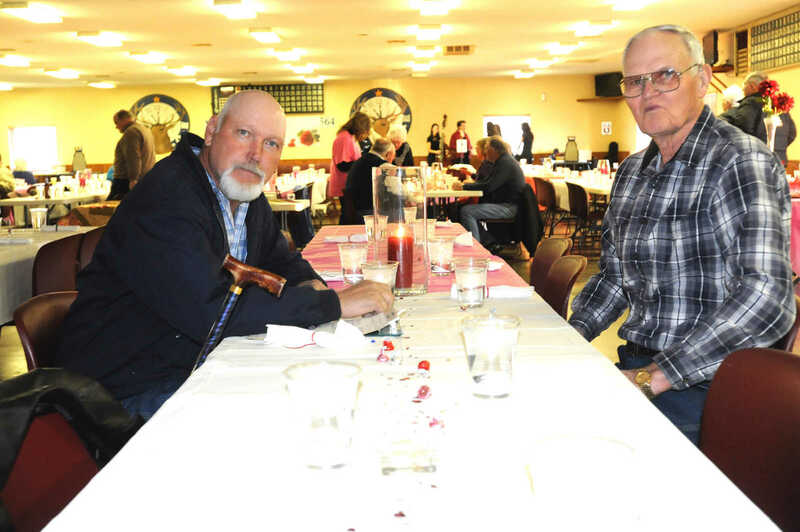 Ron Shulze, left, and Nelson Brooks visit before the Vernon County Cancer Relief Fund's annual February fundraising dinner held Saturday, Feb. 23, 2013, at the Nevada Elks Lodge bingo hall. 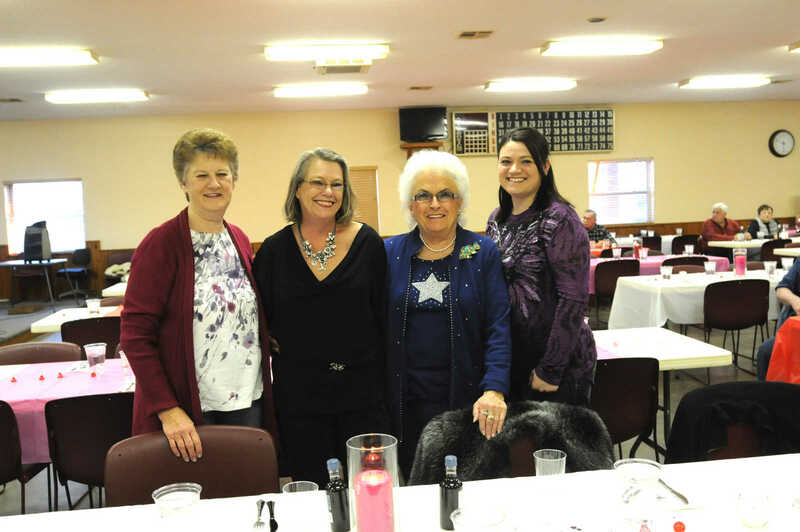 Pat Brigman, Pat Corbin, Norma Griggs and Marilyn Swarnes at the annual Vernon County Cancer Relief Fund fundraising dinner held at the Nevada Elks Lodge bingo hall on Saturday, February 23, 2013. 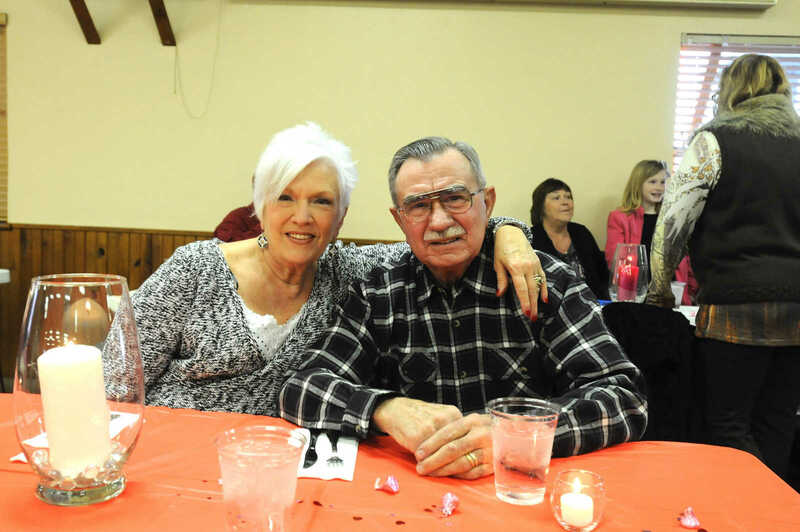 Gina and Lawrence Cripps pause for a photo at the annual Vernon County Cancer Relief Fund fundraising dinner held at the Nevada Elks Lodge bingo hall on Saturday, February 23, 2013. 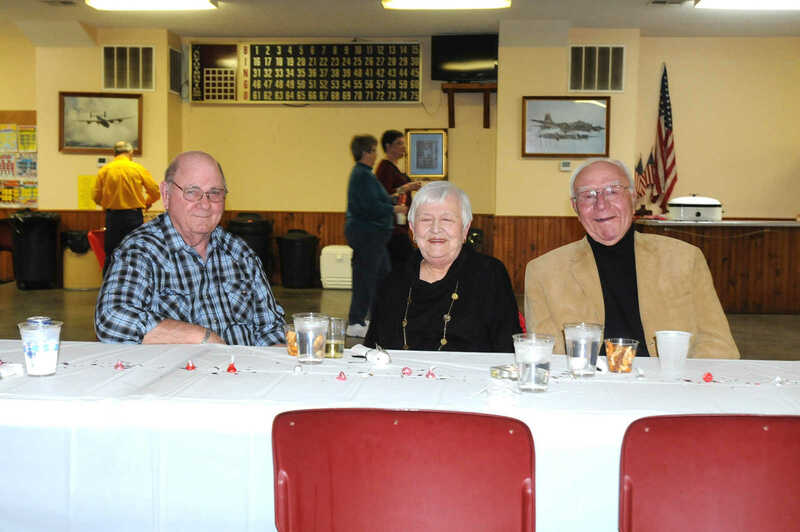 From left to right, Jim Dissler, Sandy Braswell and Odie Braswell visit before the meal is served at the annual Vernon County Cancer Relief Fund fundraising dinner held at the Nevada Elks Lodge bingo hall on Saturday, February 23, 2013. 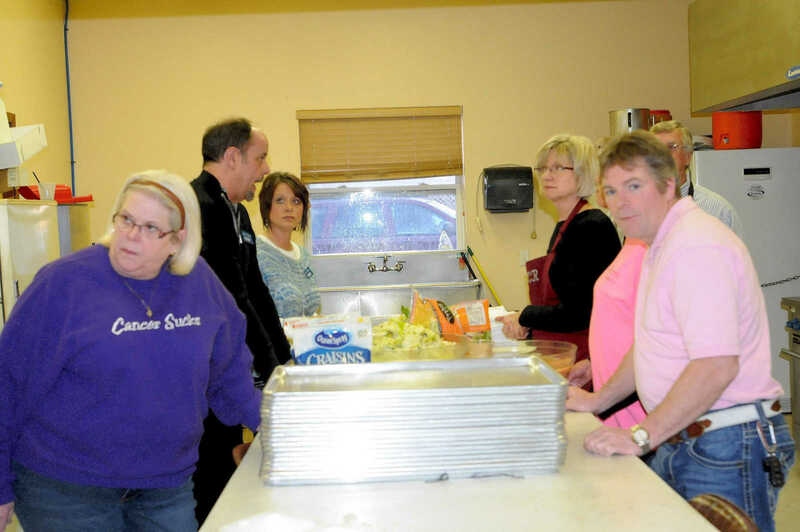 Vernon County Cancer Relief Fund board members and volunteers discuss the evenings meal service before the annual VCCR fundraising dinner held at the Nevada Elks Lodge bingo hall on Saturday, February 23, 2013. 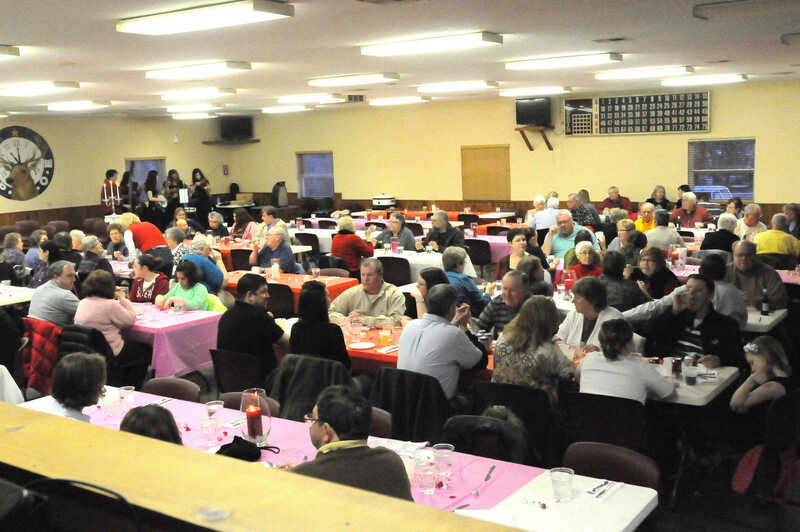 Guests visit and listen to the bluegrass music of before the meal is served at the annual Vernon County Cancer Relief Fund fundraising dinner held at the Nevada Elks Lodge bingo hall on Saturday, February 23, 2013. 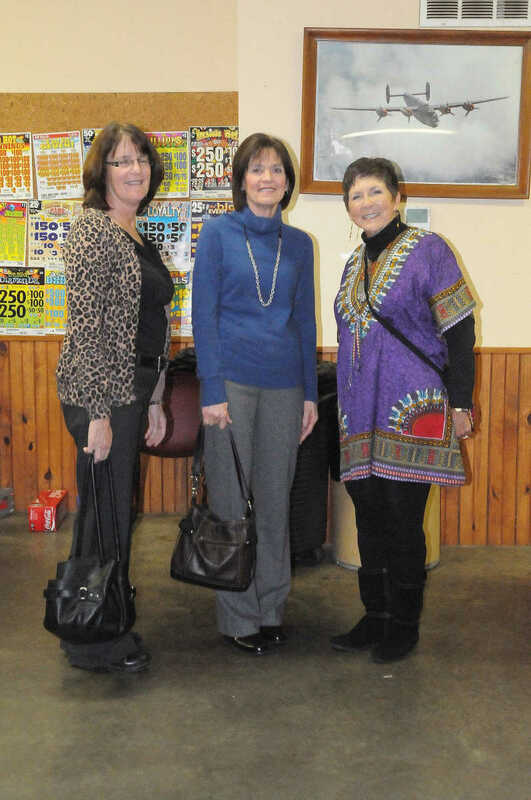 From left to right, Shirley Rainier, Jan Thompson and Candice Moore pause for a photo after the annual Vernon County Cancer Relief Fund fundraising dinner held at the Nevada Elks Lodge bingo hall on Saturday, February 23, 2013. Stanton Gammon, Rochelle Renwick and Pat Renwick take time for a photo after the annual Vernon County Cancer Relief Fund fundraising dinner held at the Nevada Elks Lodge bingo hall on Saturday, February 23, 2013. 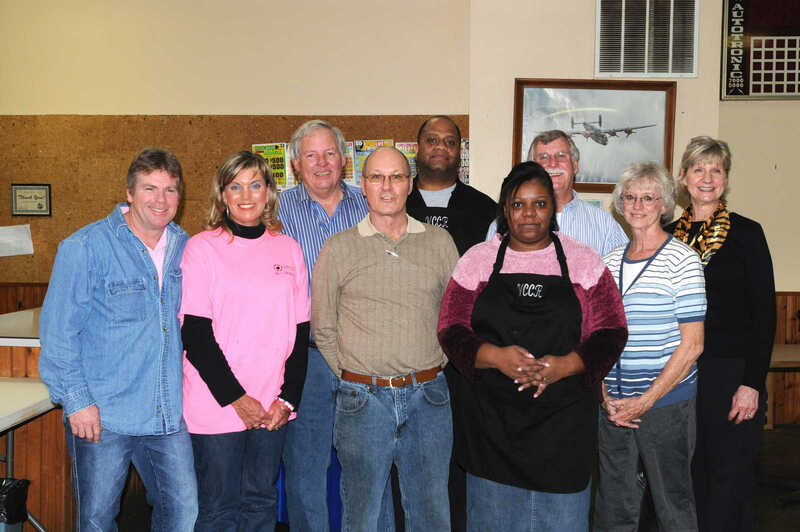 Kitchen volunteers take time out of cleaning up for a photo after the annual Vernon County Cancer Relief Fund fundraising dinner held at the Nevada Elks Lodge bingo hall on Saturday, February 23, 2013. Front row, left to right, Joe Kowalski, Lisa Hinkle, Rusty Murry, JoAnn Jones, Cassielle Gammon. Back Row, left to right, Bill Erwin, Sam Jones, Stanton Gammon and Jan Erwin. Board members of the VCCR gather for a photo after the annual Vernon County Cancer Relief Fund fundraising dinner held at the Nevada Elks Lodge bingo hall on Saturday, February 23, 2013. From left to right, Mike Turnbull, Traci Cliffman, Susan Barrett, Janet Guthrie Ranea Shulze and Ryan Renwick.